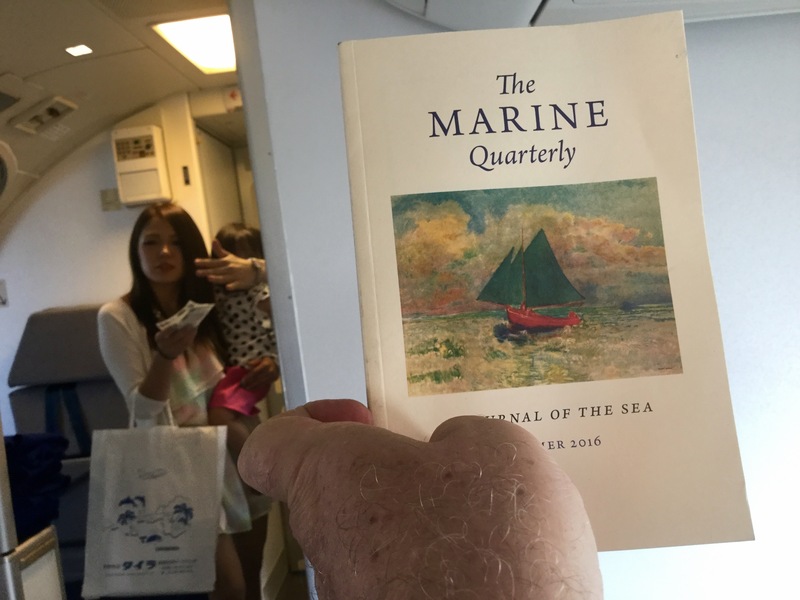 The Summer edition of The Marine Quarterly arrives on the day I set off to Miyako Jima to look at a boat. Hooray, I can read it on the flight down and like get in the mood. 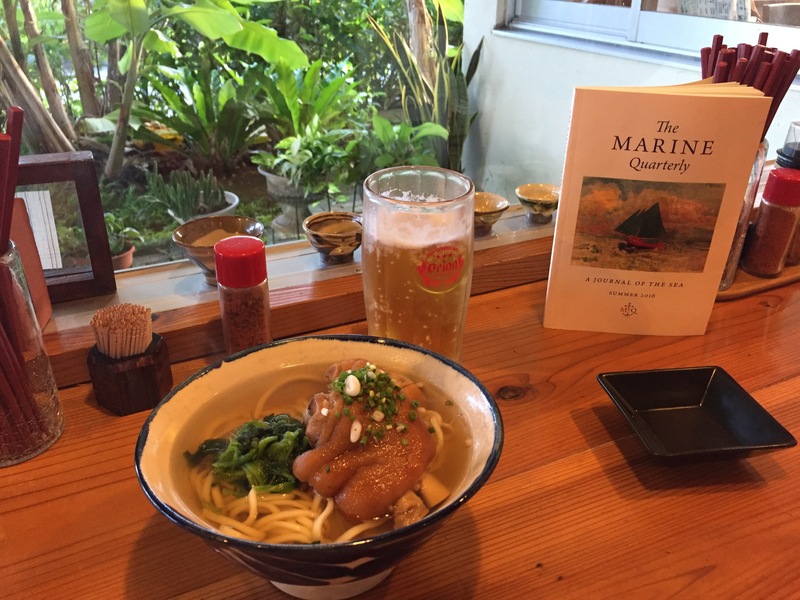 I get to Miyako Jima, eat soba and read more sea stories. So here is the story. The Norfolk Gypsy is a very fine boat. 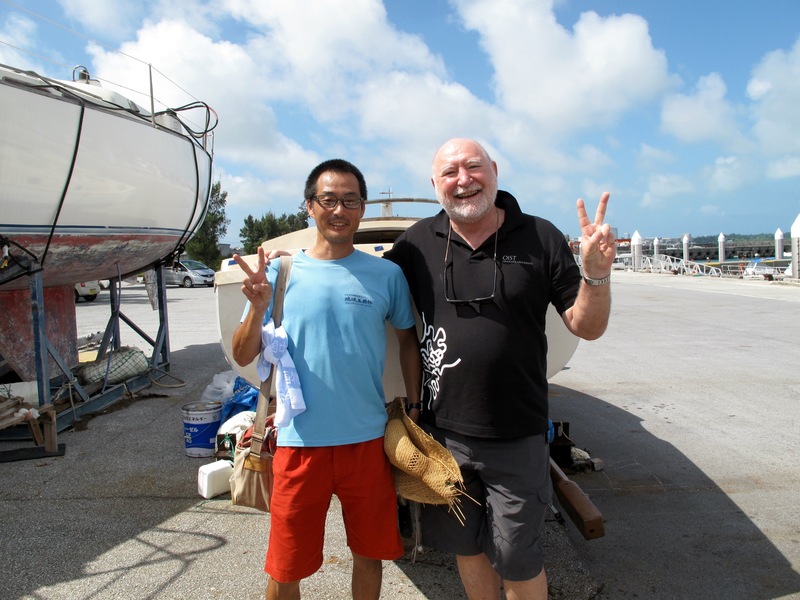 Amazingly, one turns up on a Japanese-second-hand-boat-web-site. 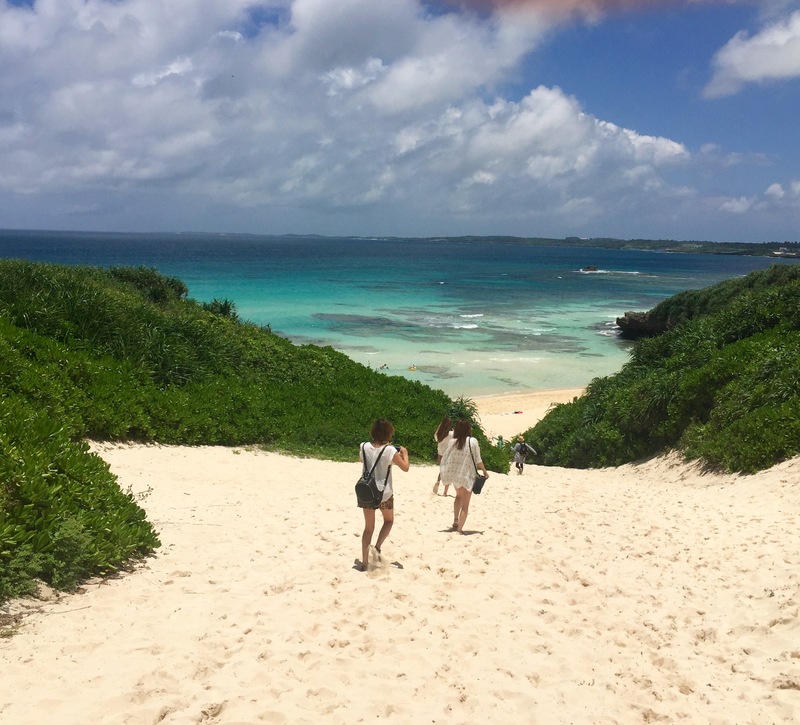 It is high and especially dry in the fishing harbor of Miyako Jima. 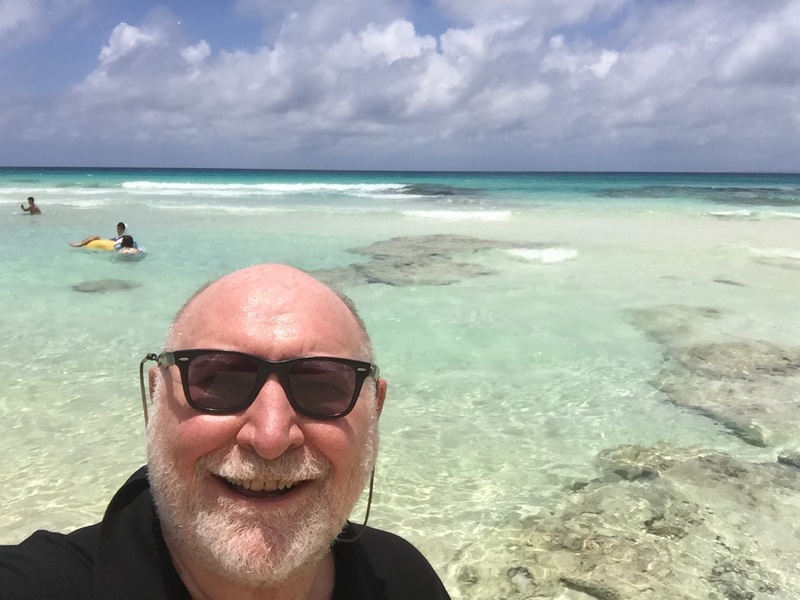 This is a long way from Norfolk. 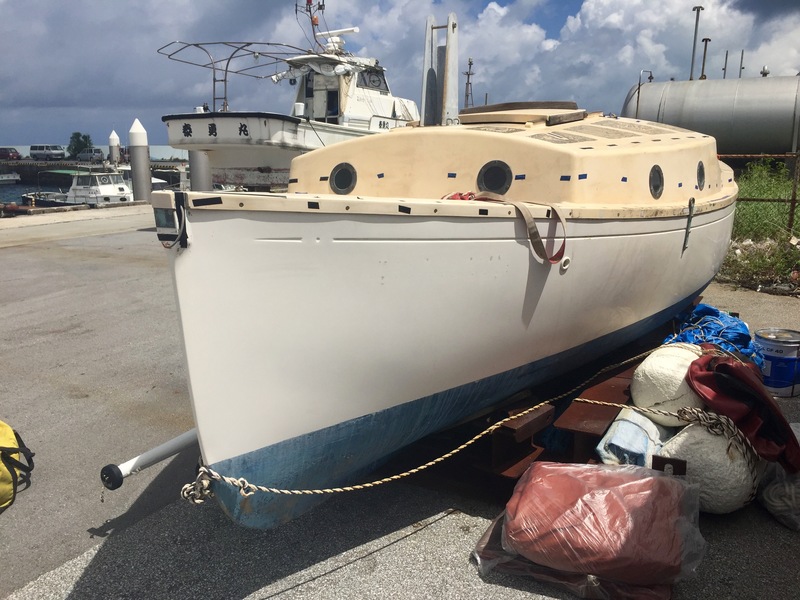 So, should I ditch my faithful Scaffie who never done me wrong and take up with a fancy new boat? I feel sleazy as I set off to check out her lines. 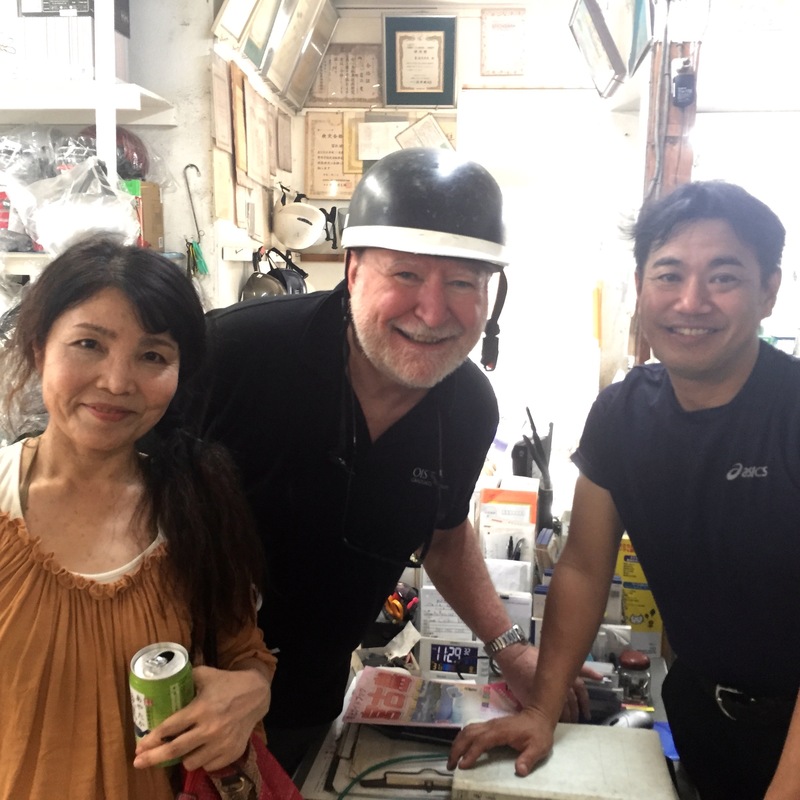 Anyway the owner, the delightful Taguchi san, speaks no English and as you know, my Japanese has got no further than, “Can you lend me 10,000 yen please?” My amazing luck holds good as a colleague mentions that he has a good friend on Miyako who is a Japanese/English interpreter. This is how I get to know the wonderful Saemi. 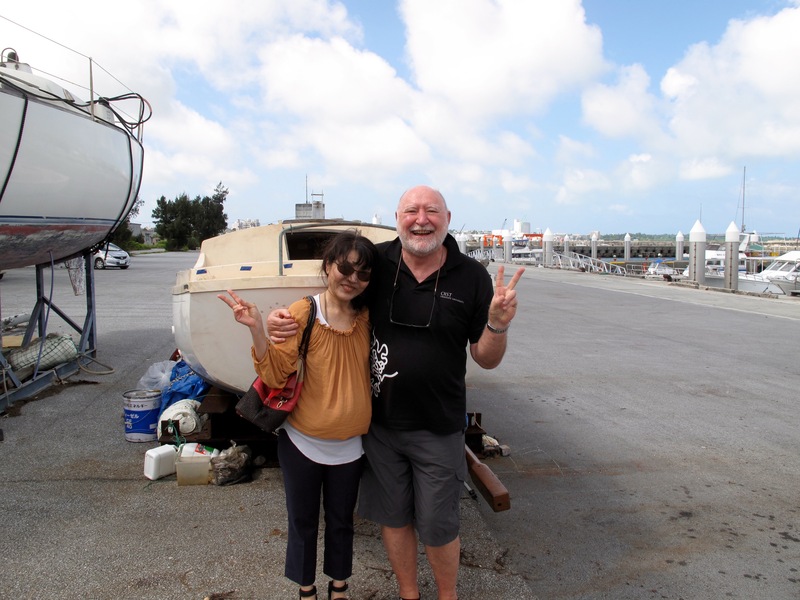 She meets me at the hotel on Friday morning and off we go to the fishing harbor. Both of us are tremendously excited. She has been here for 4 years. 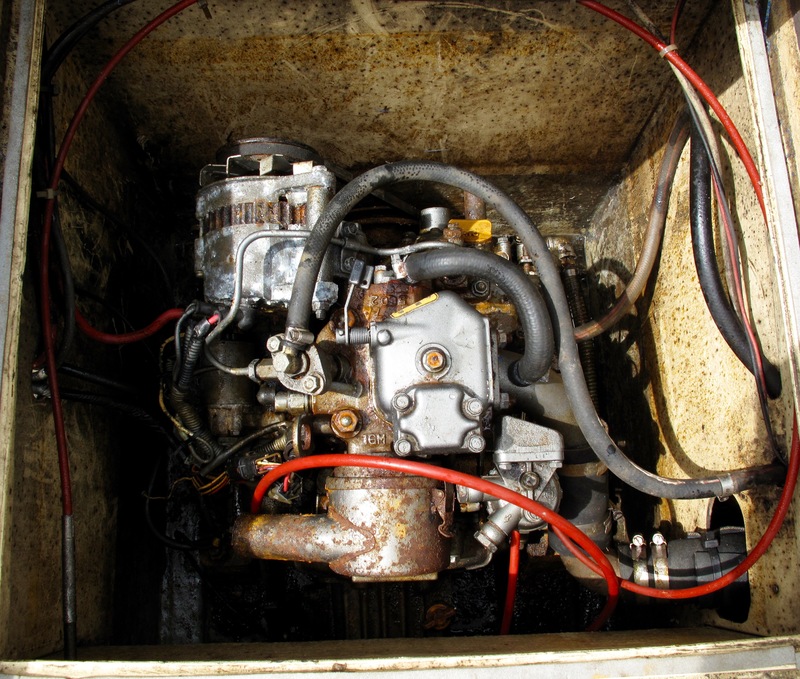 So, the boat is a total mess and I think she has crossed the point of no return. Will she ever thunka thunka again? 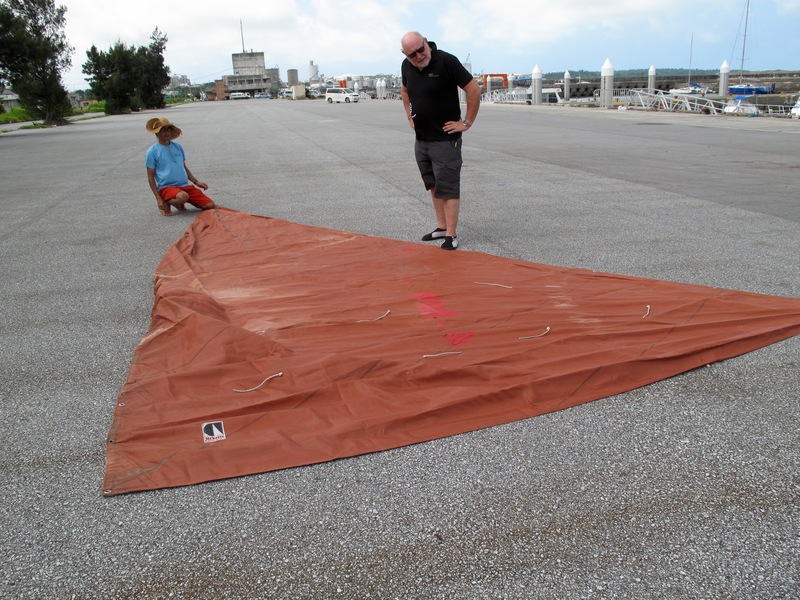 Mainsail will need replacing. Red bits are patched tears. Every bit of woodwork, every pulley, every cleat has been unscrewed and stored, hence strips of sticking plaster everywhere. 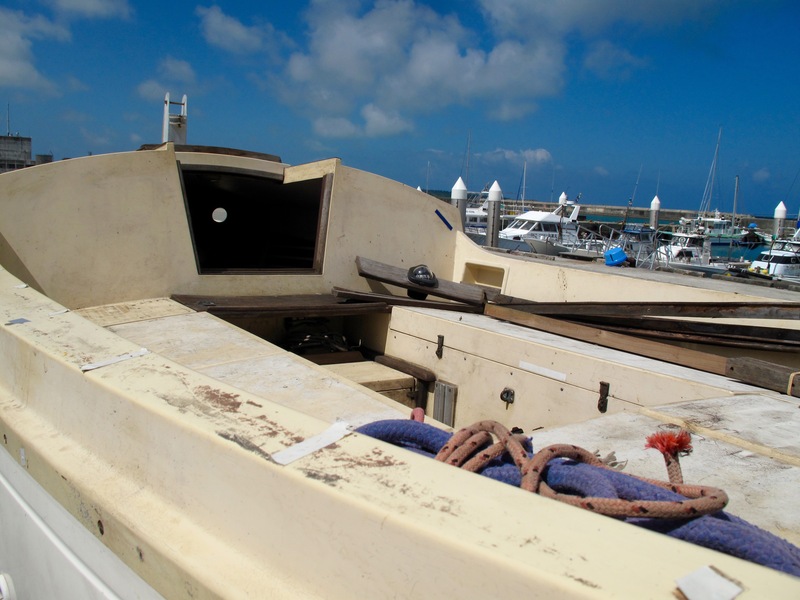 There are lots of boxes of screws and bolts inside the boat. Putting it back together will be like building a 747 out of lego with no instructions. 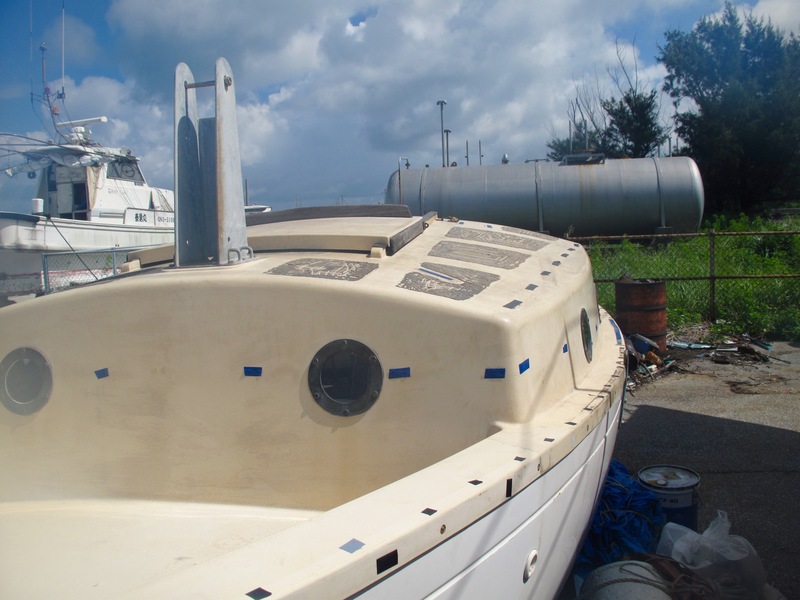 The bottom line is that restoring the boat is doable but is a full time job for some months and lotsa cash. I have to go to work. The decision lies with the Japanese government. If I get a residence permit, then post retirement, this would be fun to do. Anyway, I then go and rent a scooter. More fun in the scooter shop. I eat a Mango ice cream thing. This shows how hot it is. I never eat ice cream.